Breece System e’ una soluzione dinamica per la comunicazione dentro il punto vendita. Grazie ad un click il sistema ti da la possibilita’ attraverso il controllo delle etichette e del vision di organizzare promozioni o intere campagne in modo semplice e veloce. "Transparent information makes customers feel much more respected in their desire to get the best price." La nostra soluzione cloud è sempre a portata di clic e offre la flessibilità necessaria per accedere ai dati e alle applicazioni da qualsiasi sede, in qualsiasi momento, tramite un browser web. Qui puoi scaricare i documenti più importanti sulla soluzione Delfi Breece. Siamo qui per aiutarti. Ti aiuteremo a ottenere il meglio dalla tua esperienza delfi. Per cosa hai bisogno d’aiuto? Le farmacie oggi hanno bisogno di innovare nuove tecnologie per supportare metodi di lavoro più efficienti, al fine di risparmiare tempo e denaro fornendo al tempo stesso un alto livello di servizio al cliente. Alla fine del 2017, Bauhaus in Tilst, Danimarca, ha applicato le etichette elettroniche su oltre 40,000 articoli. At Mercedes-Benz CPH, the ambition is to to sell 4,000 passenger cars in 2019, divided into six departments. This places great demands on logistics and documentation throughout the process from sale to delivery. Irma Køge has been upgraded after the store in the summer of 2018 moved to a new and better location at the new station space in the store section Strædet. The customers wanted Irma back and they got that. After two years of absence, Irma has once again opened a store in the basement of ILLUM department store in the late summer of 2018. In early 2018, the Danish DIY chain Fog installed electronic shelf labels as a pilot project in the first timber and construction center on Zealand. The consumer electronics chain Blue City is successful within purchase and sale of used electronics via nine physical stores and the web shop www.bluecity.dk. The largest garden and animal center chain in Denmark invests in a new and large inspiring garden center in the city Egå near Aarhus. In Nordhavn, one of Copenhagen's most vibrant neighborhoods, MENY has opened a new and modern food mecca that sets the standard for future supermarkets. The sourcing and service company Solar offers a wide range of services that optimize customer activities. At The Danish Food Bank, a non-profit organisation fighting food waste and food poverty in Denmark, surplus food is being collected and distributed for the benefit of socially vulnerable children and adults. At Solar in Vejen (Denmark) a 45,000 m² automated central warehouse is located, using an advanced distribution system with high delivery safety. Imerco opens more and more stores under the new store concept Imerco Home. The interior design of the stores must be inspiring and electronic shelf labels play a crucial role in this new concept. Andersen Motors (Suzuki Car Import Denmark) imports 10,000-12,000 Suzuki cars every year and distribute them to the local dealer network in Denmark. The fashion giant Boozt.com has opened a new, big cosmetics store at Købmagergade in Copenhagen - the capital's center for shopping. During 2018, Pisiffik – a Greenlandic retail chain, invests in customer - and employee satisfaction, when the traditional paper signs will be replaced by electronic shelf labels in 21 stores. The time, that was previously spent on changing prices and marking up clothes and shoes at the adventure- and sports chain Eventyrsport, is now spend on customer service and advice. 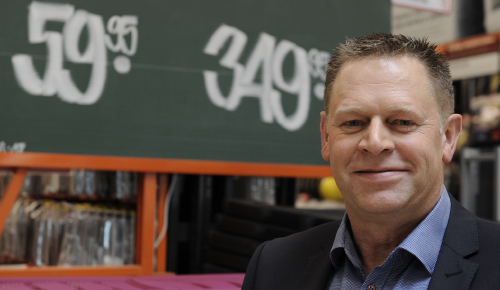 In the winter of 2018, Johannes Fog Timber & Construction in Farum is ready for electronic price labels. Efficiency and ease-of-use were at the top prioritues when TOP-TOY, for just under two years ago, started a mass digitization project for the organization's 307 stores in Scandinavia. The tele company, 3, strongly focuses on the digital costumer experience and rolls out a new store concept in 3 stores all over the country. 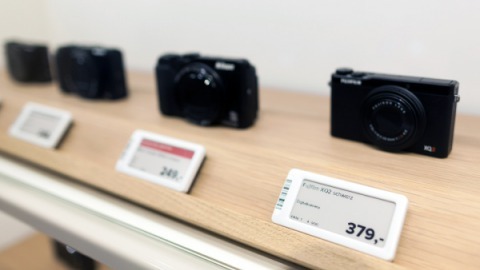 Department store giant BAUHAUS is launching a pilot project with Delfi Technologies to replace its in-store paper pricing with Electronic Shelf Labels. SkatePro - Scandinavia's largest online skateshop for scooters, roller skates and skate boards, was started in 1996 and has stores in both Århus and Copenhagen (Denmark). Imerco A/S is Denmark's largest home and kitchen appliances chain with 156 stores by the end of 2017, distributed throughout the country and an annual sales turnover, including VAT of approx. 1.4 billion Danish kroner. POCO uses ESLs: digital price tags benefit customers and employees. Store managers rent their stocktaking solutionNew handheld terminals speed up stocktaking and make good financial sense in the Dagrofa Group. Breece System with electronic shelf labels helps to profile the store to Goecker’s customersGoecker has sold photo equipment to professionals, companies and institutions for more than 150 years. Rathaus Apotheke in St. Augustin: Clearly different from a chemist, delivering faster than the internet and offering a more flexible business than any large chain. Boundaries between online and offline are becoming blurred says Danish retailerThere is a growing trend for businesses to integrate their online universe with physical stores. Delfi in fiera a "Pharmaevolution 2018"